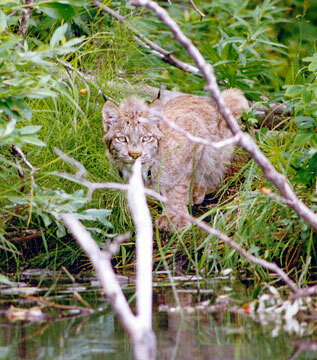 This is a close-up of the Yukon Lynx - 6 photo. See the big feet these animals have. It's mother nature's way of making it easier for her to walk on snow.